so you might not know that my sweet husband is a college student and this quarter a very, very busy one, (he studied until 1am last saturday night). where am i going with this? well my cute & busy student husband doesn't really have much time to do anything but study right now, even eat lunch, so i'm always looking for things i can make him that are portable but more interesting than a sandwich. 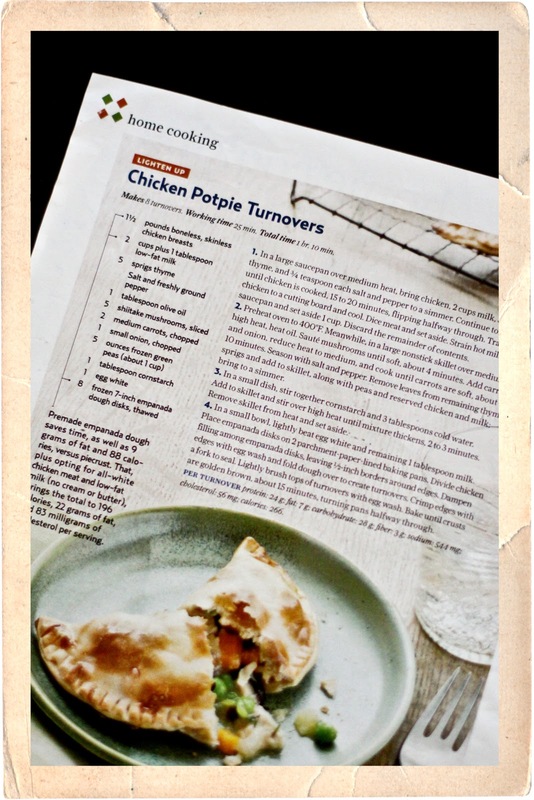 that's where this new recipe from country living comes in, chicken potpie turnovers. yum! 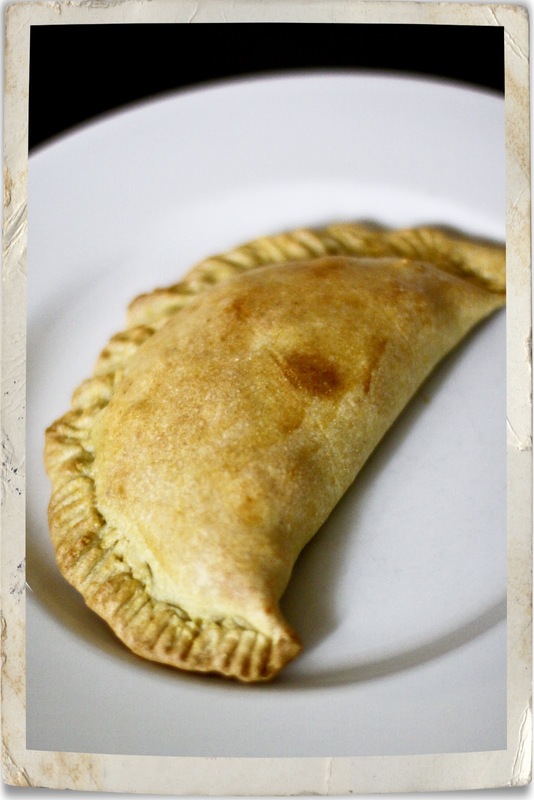 the recipe calls for frozen empanada dough, which was impossible to find in any of my local grocery stores so i made my own using this martha recipe. and before you get impressed, it takes all of 5 minutes with a food processor! after making the dough, the filling comes together easily as does the turnovers. there are many small bowls to wash when you're done but it's worth it. and while my husband would be blissfully happy eating bologna sandwiches everyday, he does appreciates all my hard work in the kitchen.